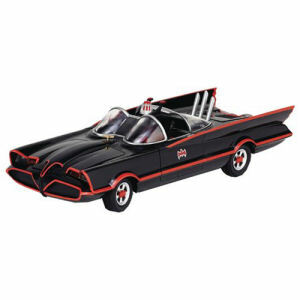 Be sure to get your Batman Classic 1966 Movie 1/35th Scale Batmobile Vehicle hot of the truck! Fill in the Notify me when Available and you will be the first on your block to have a Batman Classic 1966 Movie 1/35th Scale Batmobile Vehicle !! From the Batman collection by Kaiyodo. Batman Classic 1966 Movie 1/35th Scale Batmobile Vehicle. vehicle features rotating tires - opening doors - hood - trunk. 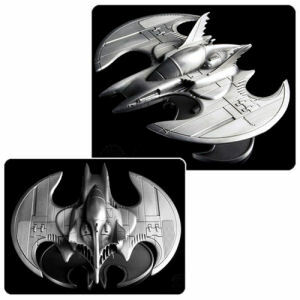 The vehicle also includes a standing and sitting Batman and Robin figures from the film. Kaiyodo Batman Vehicles shipping from Canada. No Surprise Border fees or Customs!